LONDON--(BUSINESS WIRE)--Technavio’s latest market research report on the global robotic injection molding machine market provides an analysis of the most important trends expected to impact the market outlook from 2017-2021. Technavio defines an emerging trend as a factor that has the potential to significantly impact the market and contribute to its growth or decline. One of the key factors resulting in the growth of the global robotic injection molding machine market is the technological innovations in injection molding robots. Injection molding robots provide the end-users with various advantageous features such as their high reach, both horizontally and vertically, along with their high degree of flexibility, and time-efficiency. Vendors are increasingly working on features that ensure that the robot can be disconnected speedily for fast end-of-arm tooling (EOAT) changeovers. Co-bots are increasingly being adopted to work collaboratively with humans. They use specialized sensors and robot controllers for operations and are implemented when ease of programming along with a reduction in safety costs are desired. As safety standards in industries are enhanced, vendors will increase their investment in improving sensing technologies specifically for collaborative robots. Over the years, there has been an increase in the adoption of collaborative robots for injection molding. There is a trend of outsourcing most manufacturing operations to emerging economies such as Mexico and India that have low labor costs. Therefore, small and medium enterprises (SMEs) in developed countries are increasingly automating their manufacturing plants and adopting robots to stay competitive. Vendors such as Comau, have designed the Racer 3 co-bot targeted particularly at SMEs. These robots are primarily being adopted by the rubber, plastics and chemicals, metal processing, food and beverage, and electronic industries. “The SMErobotics initiative started in 2012 and concluded in mid-2016. It concentrated on the development of cognitive skills in co-bots to assist them to learn new skills while interacting with human co-workers without any programming and downtime. These developments have influenced the adoption of co-bots by SMEs over the years and are expected to have a significant impact during the forecast period as well,” says Raghav. Vendors ensure that the necessary development and simulation software for programming robots are up-to-date and include features that make programming hassle-free. To ensure greater flexibility and convenience in the programming of robots, vendors allow other original equipment manufacturers (OEMs) and system integrators to use their own proprietary software to program robot controllers. For instance, Yaskawa Motoman uses the software from Rockwell Automation and KUKA robots that permit motion commands from different automation controllers. While Yaskawa Motoman offers Advanced PP Customization SDK (software development kit), KUKA offers HMI and KUKA Control and Observe, and FANUC offers Controller R-30iB. 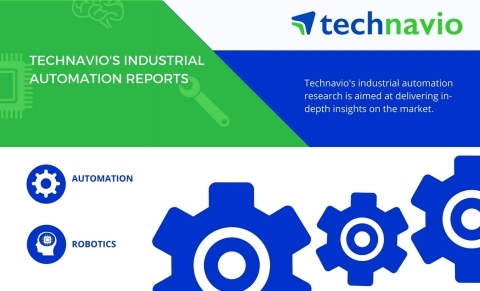 Technavio’s research report on global robotic injection molding machine market gives an insight of the trends expected to impact the market by 2021.